Mrs. Schey’s Kindergarten class at Harry S Truman Elementary School has been learning about the history of Thanksgiving, as well as the traditions associated with this special holiday. The students had the opportunity to practice speaking in front of a video camera. This video, created in iMovie, shows what the children are thankful for, in their own adorable words! The Veteran’s Day presentation was the first time students in Harry S Truman 2nd grade used Keynote software to tell a story. Together, students created a title slide and an end slide. Then each class created a slide with students’ pictures using iPhoto and clipart images. 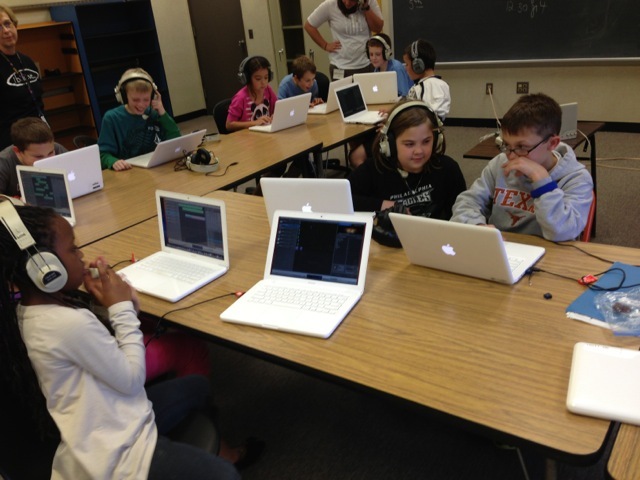 Garage Band was used to create a voice-over, adding audio to the student photos. The students really enjoyed seeing their project come together and are looking forward to creating their own projects later this year. This year students at Harry S Truman Elementary School and Western Salisbury Elementary School are busy learning the 7 Habits of Highly Effective People (Stephen Covey). 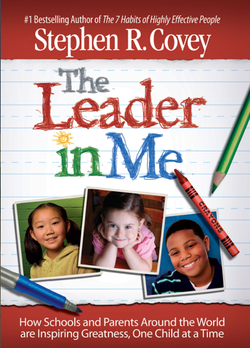 This initiative, The Leader in Me, will help our children find their strengths and potential as we share the common language of the Seven Habits. We will be on a journey with our children as we help them discover their strengths and talents – the leader in each of them. Below is a summary of the Seven Habits that will help our children develop their potential. Leadership is communicating people’s worth and potential so clearly that they are inspired to see it in themselves. I listen to the ideas and feelings of others. I try to see things from their point of view. I listen to others without interrupting. I am confident in voicing my ideas. I look people in the eyes when talking. I value other people’s strengths and learn from them. I get along well with others, even people who are different from me. I work well in groups. I seek out other people’s ideas to solve problems because I know that by teaming with others we can create better solutions than any one of us alone. I am humble. 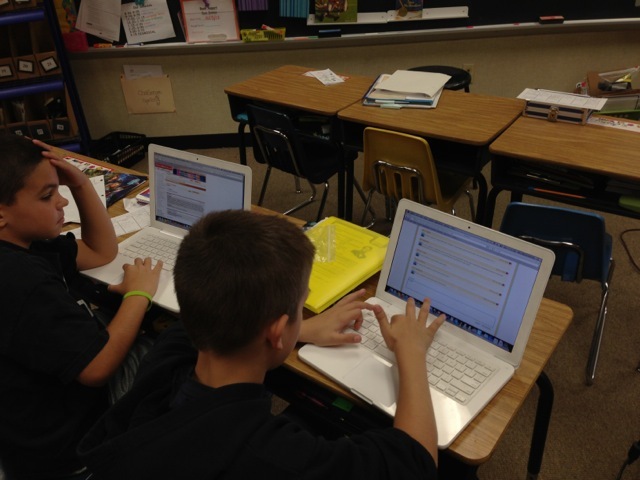 Mrs. Shirk’s fifth grade class began using Wikis this year to supplement class discussion. 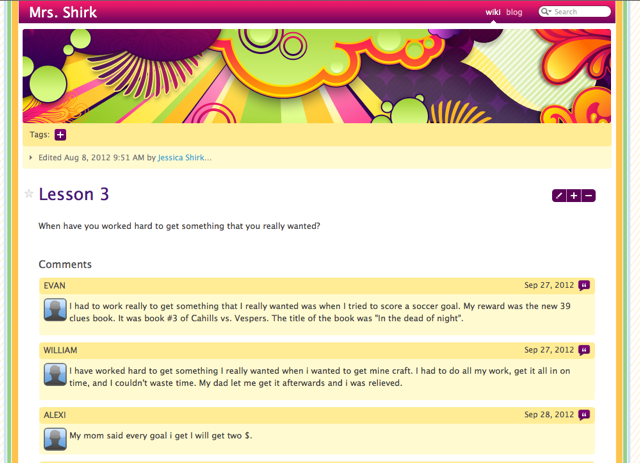 A weekly question is posted and students have the opportunity to submit their answers throughout the week. Students enjoy responding in their own words and seeing their classmates’ opinions. The students also appreciate being able to review past discussions. Truman’s GarageBand club meets on Friday afternoons. Students from grades 3, 4, and 5 have the opportunity to create their own original compositions using Apple’s GarageBand software. 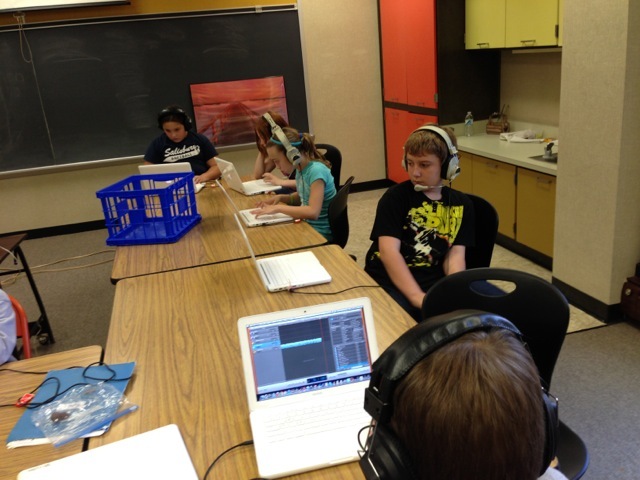 Some students opt to record their own voices, while others create arrangements using the built-in audio loops. They also learn how to use effects to creatively transform sounds. Listen to this project by Anna Bitar.